I would be a hypocrite to say that I don’t fully appreciate the benefits of modern technology, or that I say that it has gone too far. On the other hand, I’m not a big fan of taking a lot of pictures when having a cup of coffee or serving cake, as I don’t see the point in immortalizing mundane events. This doesn’t mean that I find any use for photographs, quite the opposite, as long as it is something worth preserving and cherishing. I think you will find my latest do-it-yourself discovery to be thrilling and the fact that it has photographed at its core with only reinforce my previous statements. 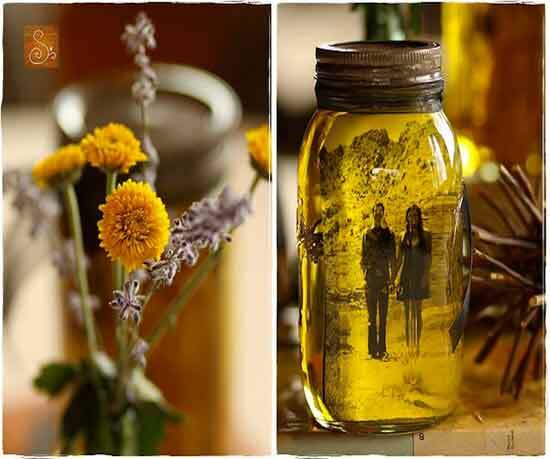 What you need is a regular jar and some vegetable oil to turn it into an everlasting support for your favorite photo. The process itself is as straightforward as it gets because all you need to do is to fill up the jar with vegetable oil and then insert the picture inside. Don’t worry about ruining the image because this is not the case and the only consequence is visually delightful, as the pictures turn translucent and will have an irresistible appeal.